The above info came from Mizhuki, and was edited by yours truly (contact me). 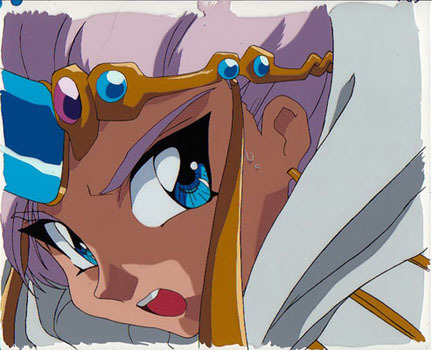 The image came from magic knights rayearth cel. Master Mage Clef is the man appointed by the Pillar of Cephiro to lead the Legendary Magic Knights to help finish the legend. However, on the very first time Clef and the Magic Knights met, he was turned into stone by High Priest Zagato. Even so, he still helps them out. He has a very good and nice personality. In the second series, Clef is helping to guard the palace from invasions by neighbouring countries. He almost lost his life when he used a strong spell to bring back all the Magic Knights from Lady Debonair and Innova. The above description came from Mizhuki, and was edited by yours truly (contact me).